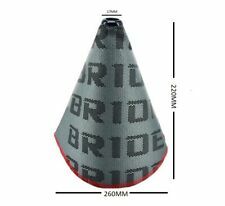 The Civic Type-R Shift Knob is red leather-wrapped shift knob that add a distinctive look to the Type-R. 2017-2019 Civic Type-R. We will do our best to list it for you as a "Buy It Now" item. It must be in new resalable condition. 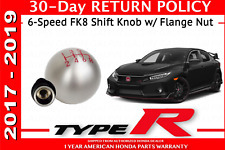 NEW GENUINE HONDA CIVIC TYPE R 6 SPEED FK8 SHIFT KNOB WITH FLANGE NUT. THIS IS THE FACTORY 6 SPEED SHIFT KNOB FROM THE 2017 2018 TYPE R. SOLD WITH THE FLANGE NUT TO LOCK THE SHIFT KNOB IN PLACE AND TO HOLD UP THE SHIFT BOOT. Brand new 2017-19 Honda Civic Type-R shift knob. Genuine OEM. Comes with cloth bag and box. (Note: Part # on box is wrong. I swapped boxes) Please send PayPal as gift. Trending at $141.69eBay determines this price through a machine learned model of the product's sale prices within the last 90 days. 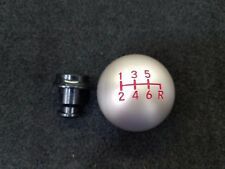 6-Speed FK8 Shift Knob w/ Flange Nut. 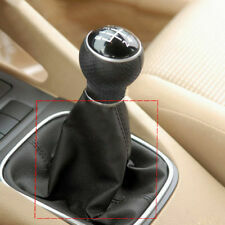 Part Number: 54102-TGH-A00 (SHIFT KNOB). Honda CIVIC Type-R. 2017 - 2019 HONDA CIVIC TYPE-R. Part Number: 54103-TGH-A00 (FLANGE NUT). We make every effort to represent what these parts are and what vehicles they fit. The red leather-wrapped Shift Knob adds a custom flair to your Civic Type R. Red Leather Wrapped Shift Knob. 2017 - 2019 Honda Civic Hatchback Type R.
The vehicle had the accessory shift knob installed. 2017 - 2019 Honda Civic Hatchback Type R.
Part/Notes: SHIFT SELECT LEVER ASSY. -Life is life and issues arise; people make mistakes. LKQ SKU: LKQ300 ~215316999 FLS00752XX. We do our best to prevent these issues from happening and apologize for any inconvenience it may cause. Honda Civic 2016-2018 AT, Sdn. Vehicle Model: Civic. Part # or Vehicle Model: Civic. LKQ SKU: LKQ300 ~208679124 FLS00753XX. We do our best to prevent these issues from happening and apologize for any inconvenience it may cause. Honda Civic 2016-2018 MT, Sdn. Vehicle Model: Civic. Part # or Vehicle Model: Civic. PULLED FROM: 2017 Honda Civic EX. · NO checks. · cash in person. · Most major credit cards. 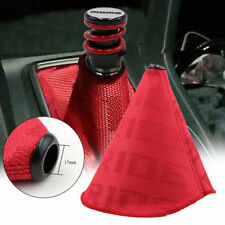 Red leather-wrapped Shift Knob adds a custom Look to your Civic Type R. Red Leather Wrapped Shift Knob. CARE OF THE SHIFT LEVER KNOB. Using a soft cloth with mild soap and water, clean the shift lever knob, then wipe with a soft damped towel. Vehicle Year: 2018. LKQ SKU: LKQ300 ~205826201 FLS00952XX. We do our best to prevent these issues from happening and apologize for any inconvenience it may cause. Honda Civic 2017-2018 AT, Htbk. Vehicle Model: Civic. Vehicle Year: 2017. LKQ SKU: LKQ300 ~186190269 FLS00952XX. We do our best to prevent these issues from happening and apologize for any inconvenience it may cause. Honda Civic 2017-2018 AT, Htbk. Vehicle Model: Civic. 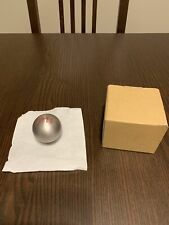 This is a New in Box Type-R 6-Speed Shift Knob fits all Type R Honda & Acura models. 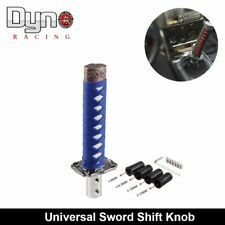 Compatible with OEM & Boomba Racing Short Shift lever, or any shift lever with a thread pitch of 10x1.5 . A heavier shift knob puts the weight towards the end of the shift lever. The delrin shell features a cap with an engraved shift pattern. ALTA Heavy Weight Shift Knob for 2016-2018 (10th Gen) Honda Civic with 6 Speed M/T. Improve your interior styling and shifting action with a heavyweight brushed stainless steel ALTA Shift Knob. Once the height is set, tighten the lock bolt and your knob will never loosen on its own. Shift Knob Retaining Nut. Honda CIVIC Type-R. 2017 - 2019 HONDA CIVIC TYPE-R. Part Number: 54103-TGH-A00 (FLANGE NUT). We make every effort to represent what these parts are and what vehicles they fit. This an universal shift knob for manual transmission. 1 x Shift Knob. Fit for Honda civic. Material: Aluminum. Type: 5/6 Speed. You should receive item within 3-5 weeks. OE: 54102-SMT-E01. E-check will be held until cleared. Part/Notes: SHIFTER ASSY. -Life is life and issues arise; people make mistakes. ALL PARTS ARE GENUINE OEM. YOU WILL RECEIVE THE ITEM IN THE PICTURES. 1 x Mugen Carbon Fiber Shift Knob. Super High Quality Shift Knob. No modification required, directly upgrade your original knob. Color: Red CARBON FIBER. Material: CARBON FIBER. Honda - All the Model and Year. The Razo RA96RE Shift Knob features a properly weighted, sleek and anatomically correct design for significantly improved shifting operation. The high grade, genuine red leather finish enhances the looks of your interior. 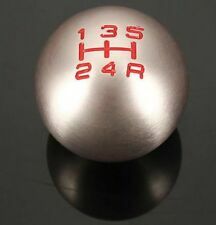 This is a 6-Speed Shift Knob for All Honda And Acura Models in NEW condition. Can also be used with any 6-speed twist on knob manual with a 10x1.5 Thread Pitch. Third Party Item - Fits Honda/Acura, but not made by Honda.